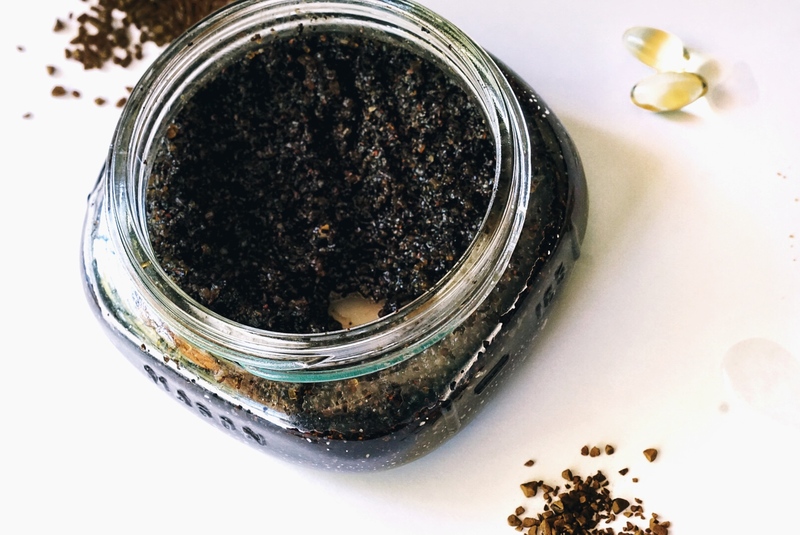 Most of us start our days with a hot cup in hand so how about closing out the long day with coffee to exfoliate, hmm? It improves blood circulation, softens skin (great for texture) and helps eliminate dry skin cells — very much needed after winter weather. 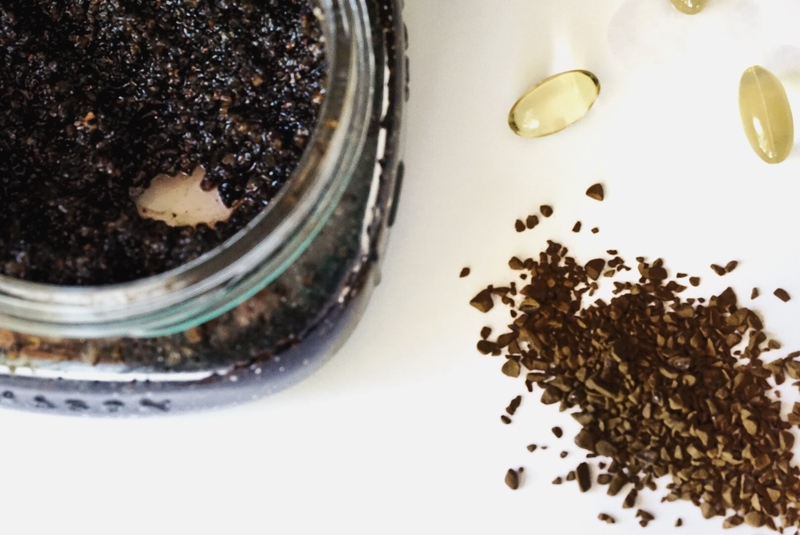 Organic dark roast coffee grounds contain a higher dose of such properties, making it effectively stronger — use 1 cup. With a gentle ingredient like brown sugar, it helps to brighten, clean and improve the overall color of skin. Like most of us, I’m all about achieving naturally glowing skin because why not! 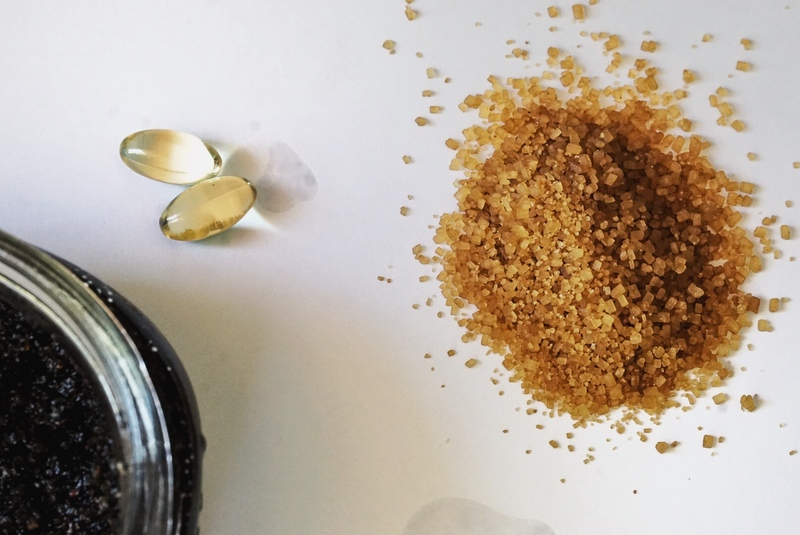 Brown sugar is the answer as it carries hydrating benefits with nutrients to help with such. 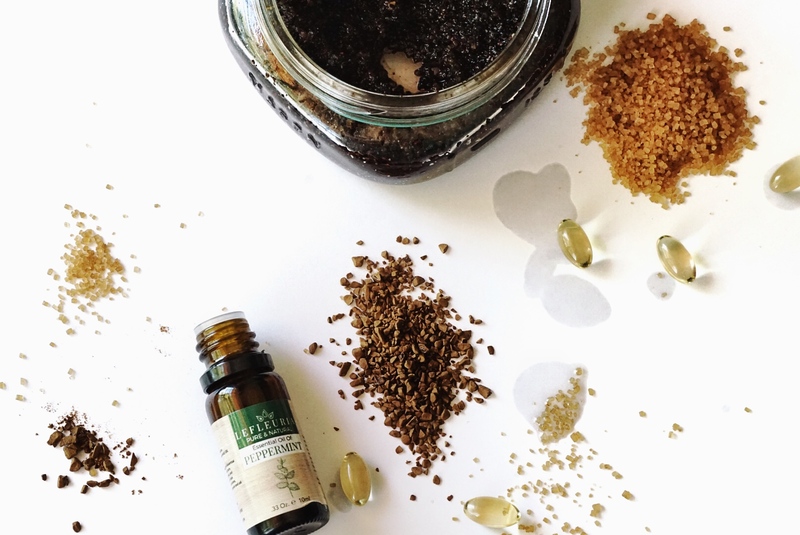 Add 1 cup of organic brown sugar into the mixture to kickstart a summer glow! Oils are imperative for me and work greatly at restoring skin. I enjoy the subtle scent of almond oil and it’s my favorite to add in this recipe (1/2 cup). If you have any skin irritations, I highly recommend using almond instead of coconut oil. 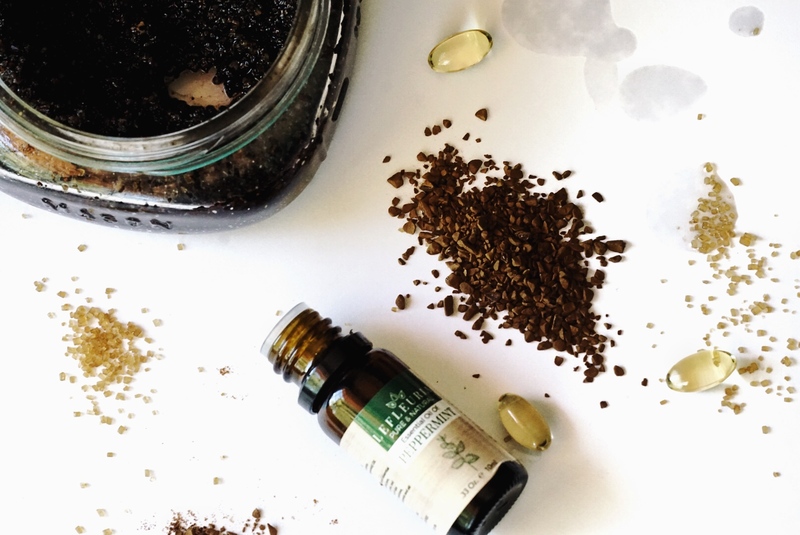 For a little added boost, squeezing two Vitamin E oil capsules intensifies new skin cell growth (P.S. it helps treat wrinkles 😉 ). 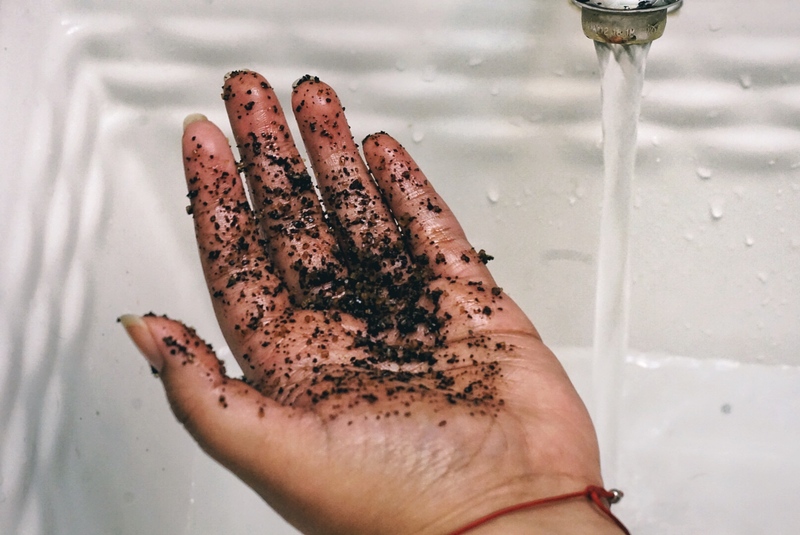 When trying to decide on a scent for this scrub, I knew it had to compliment the strong, delicious smell of fresh coffee grounds. The blend of peppermint and coffee creates a powerful and invigorating scent! 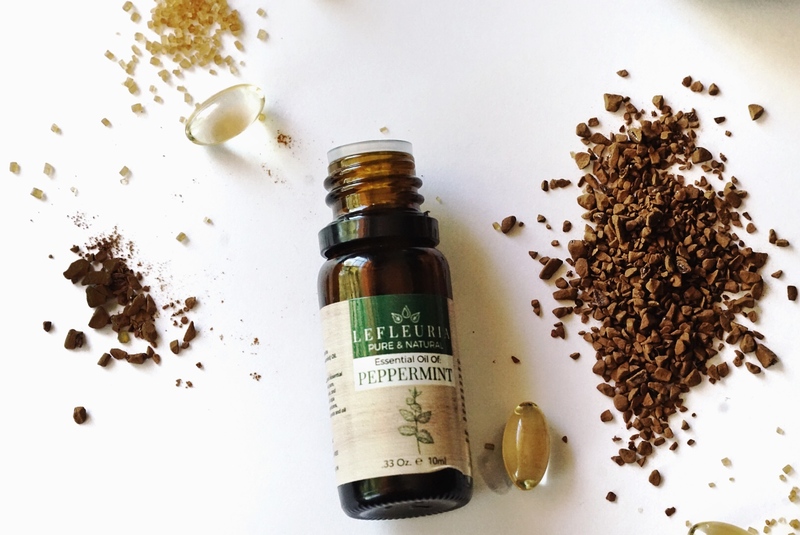 Add 10-15 drops of peppermint essential oil and get to mixing! Pour the scrub into a mason jar or glass container in order to keep fresh. 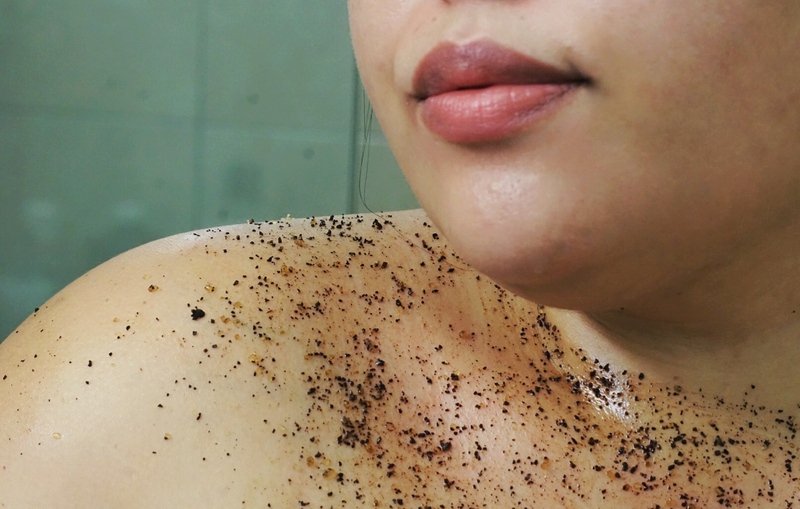 I’ve been using this coffee scrub to exfoliate my body (perfect after shaving/waxing) and face once a week. Exfoliate gently in circular motions and rinse off with warm water. Enjoy that moment of bliss with a refreshing, cooling sensation and let me know how the scrub leaves YOUR skin! This is Spring “cleaning” on a whole new level. Amazing! Going to try this out. Thanks for sharing. Two questions 1) Can I use regular sugar or needs to be brown sugar? 2) how many days can you store the scrub? Hey! Yes, you can def use regular sugar but I’d use raw sugar to get the benefits of exfoliation (processed is too fine). As long as you keep the scrub in a cool place it should last you just fine 🙂 would love to hear what you think after you try!